Proceeds from this event are turned back to the people of the Barrie area through support of Barrie Public Library, as well as through the Library facilitating the active participation of various community groups in the Festival. As a good corporate citizen, you value the ways that these groups and service clubs benefit your community. Development of a sense of belonging/ownership in a major community activity for your firm and its personnel. 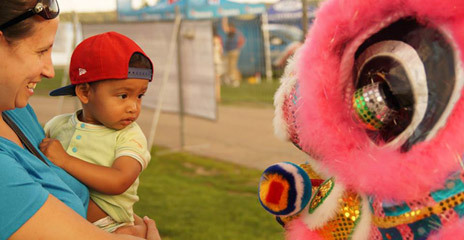 The Festival has become a family fun day for everyone. It helps to make the Barrie area a better place to be and to live. There are various promotional opportunities within the scope of this event. There are 40 to 60 teams registered, plus the attendant support, as well as unlimited numbers of spectators at the Festival to receive your message. These teams come from Barrie and the surrounding area, with the added potential for teams from other areas of the province to also register.